Too many UX books to read – Content Strategy or Agile Experience? After a six-year slide away from reading long-form books (I’m almost exclusively reading graphic novels by now), my career shift into UX is forcing me to face the daunting task of reading a bunch of significant works to “catch up” on what’s gone before me. 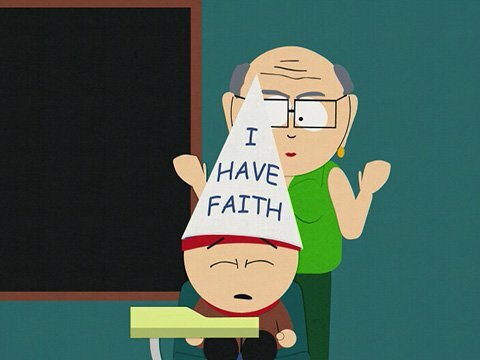 Getting indoctrinated into a new culture is always a stressful situation: I’m doing this voluntarily, but I’m still nervous about “following the right gurus” and “not losing my own unique perspective on the world”. I don’t want to pick the wrong texts to start out – the first few will anchor the rest of my learning, and the last thing I want to do is read stuff that’s no longer relevant or will only make me a “me too” player in this culture. I’d much rather do what I’ve done in the last two careers I’ve had: find something that’s just emerging, get caught up quickly and find my own unique spin on the subject. Focus: What’s My Next Book? 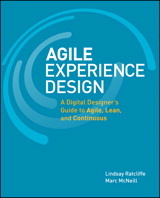 Agile Experience Design is the next book being discussed at the UX Book Club PDX . I’ve never attended, but there’s a bunch of folks I’ve met that recommend and/or belong to the club, and who are planning to go out for the meet. I’d feel like a fraud to show up without having at least read a fair chunk of the book. More than that though, I strongly believe that so much of SW development is “going Agile” [even at my Big Corp work there’s a ton of movement in that direction], and I can see the writing on the wall – if you can’t contribute Design and UX to a Sprint-driven world, then you’ll be left behind, you’ll be frustrated, and you’ll fail at the real mission of your work (to make the iterations relevant and successful for the users). 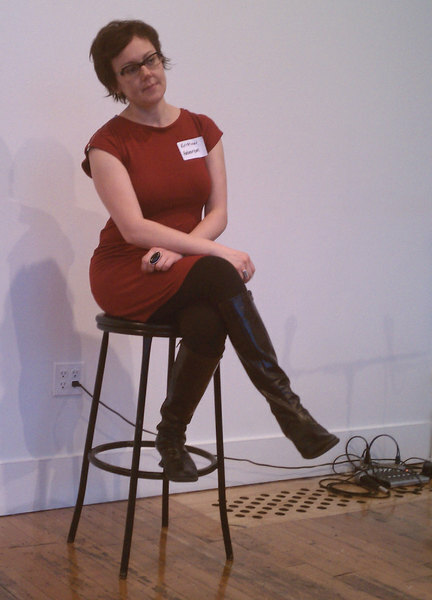 Content Strategy for the Web is something I did *not* expect to ever look into, but I decided to go out for the PDX Content Strategy Meetup this past week, where the author (Kristina Halvorson) led a rousing, fascinating Q&A session on Content Strategy. I honestly didn’t know that I had a “content strategy” problem, even though I’ve been working as an editor, knowledge manager, author, collateral manager and site owner in various roles for over a decade. Damned glad I went out to this – about ten minutes into the session, I realized I’m in *exactly* the kind of pain and lack of strategy that Kristina is preaching. I am now feeling *very* motivated to dig my way out of this “content strategy hole” I’ve gotten dug into. In fact, I can accept some responsibility for the problem – I’ve let our content languish & drift, fearing the gauntlet of reviews I fear I’d have to do before I would be “allowed” to publish a fresh, tight and goal-oriented set of content for our users. 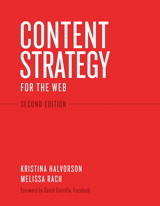 Content Strategy of the Web: engaging from the get-go. Kristina doesn’t mess around – she directly engages with her reader, and wants you to know she understands the problem space and that she’s got some immediate things for you to do. No f***ing around. And I see exactly how her lessons will immediately benefit me – I’ll be able to deliver a “content strategy” to my boss in the next week or two, if I read just a few more chapters here. Easy. Even though I *want* to participate in the Agile UX conversation next month, there’s no question for me where my eyeball time will be spent. Kristina, you have another convert! Grappling with the perennial question: am I using the right tool for UX design? terms of what kinds of controls I can bring to bear. Maybe I’m actually trying to design flows, not “pages” [i.e. on the page” but “how does a user intercept functionality”. build the work product in this tool. iPad), rather than a set of pre-canned shapes. Great for people that do their wireframes in Illustrator – much faster. interactions, and share the crap out of them. Design diagramming, which is complementary to the topic at hand. but consistent track record] but do everything *almost* well. interactions implicit between these static pictures. Now for the $64K question: What do you use and why?